ClearMotion, Inc., an automotive technology company, has acquired the Bose Ride® business and related technology from Bose Corporation. More information is available in the press release found here. 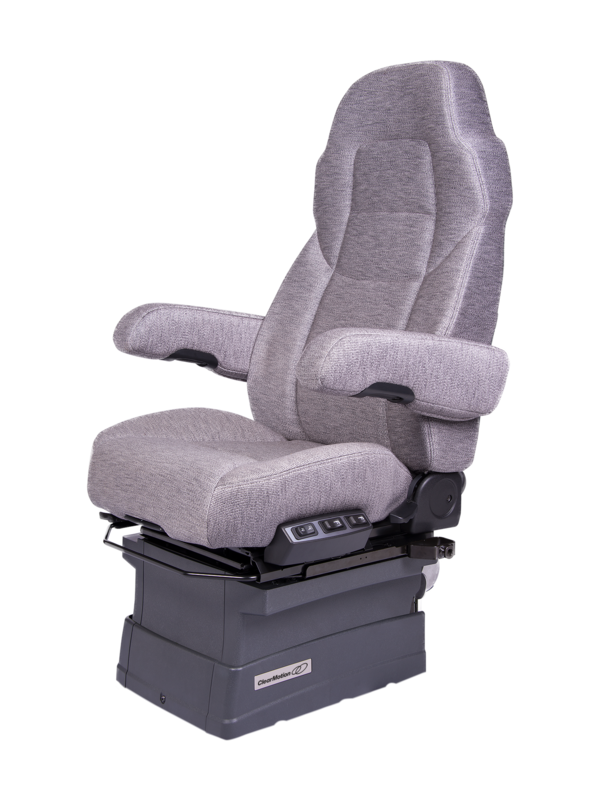 ClearMotion's seating solutions incorporate the most advanced ride technology directly into the seat base, isolating drivers from the harshest driving conditions and providing the smoothest ride in the world. 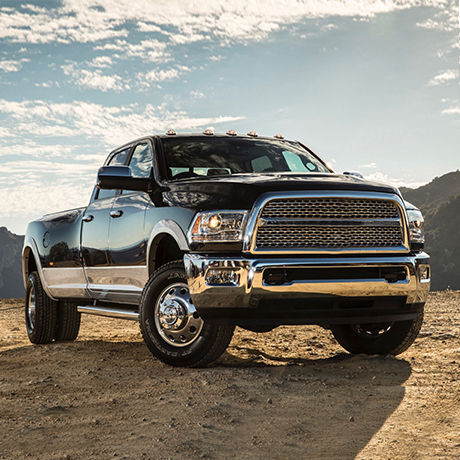 Experience your vehicle in a completely new way. Do you have questions about the system? Give us a call, we would love to hear from you! For truck drivers facing the most strenuous environment. 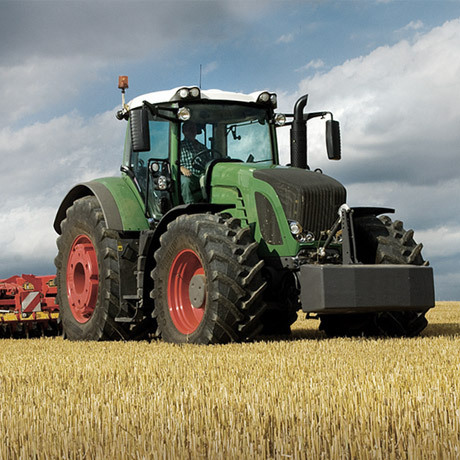 For demanding agricultural and construction applications. 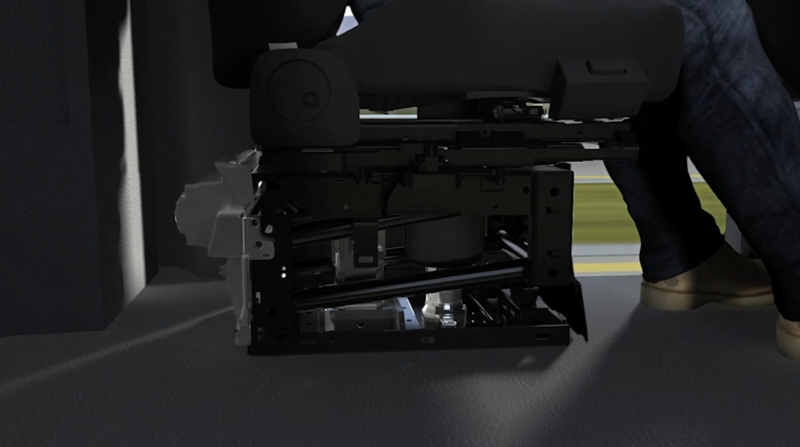 ClearMotion's proprietary algorithms effectively cancel vibration from the road by sensing vehicle motion and instantly counteracting those forces, isolating the driver from long distance driving discomfort. 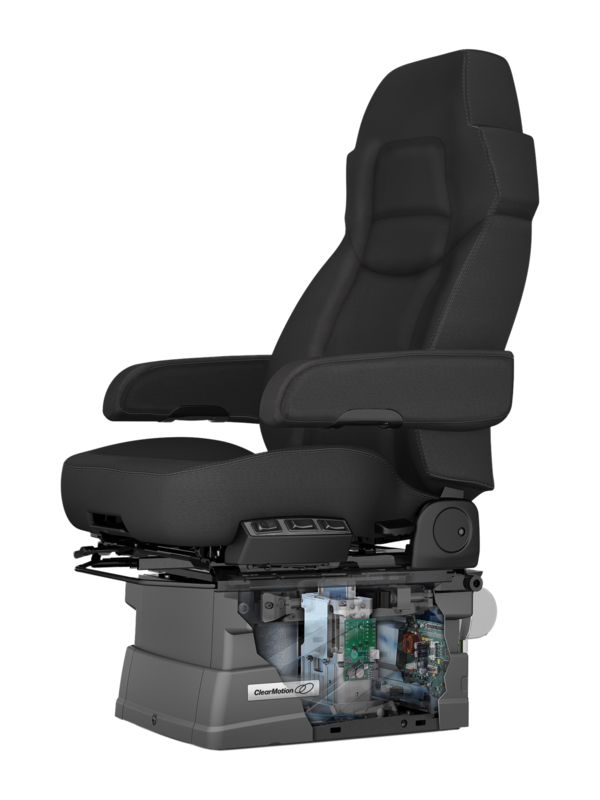 Prior to using the ClearMotion Active Suspension Seat, almost half of study drivers reported suffering from daily fatigue and pain levels serious enough to interfere with their work. 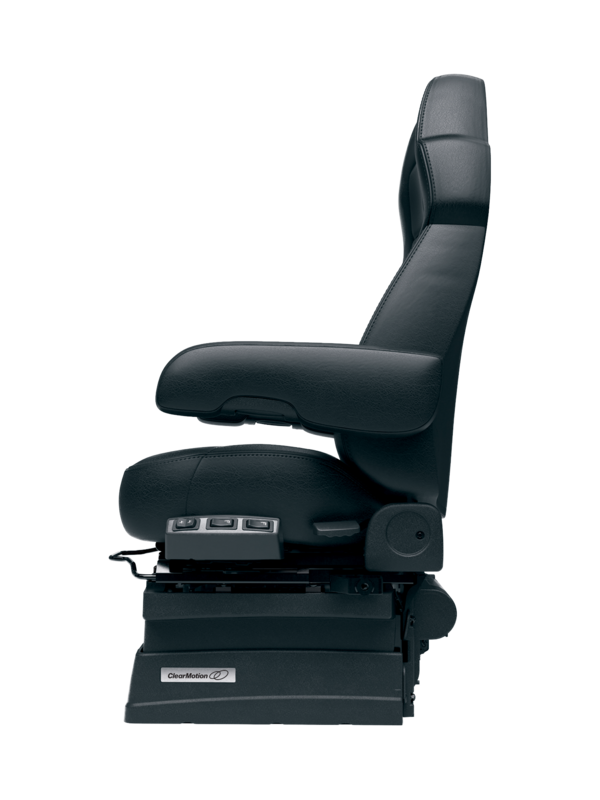 By dramatically improving ride quality, the ClearMotion Active Suspension Seat eliminates this problem for nearly all of those drivers. 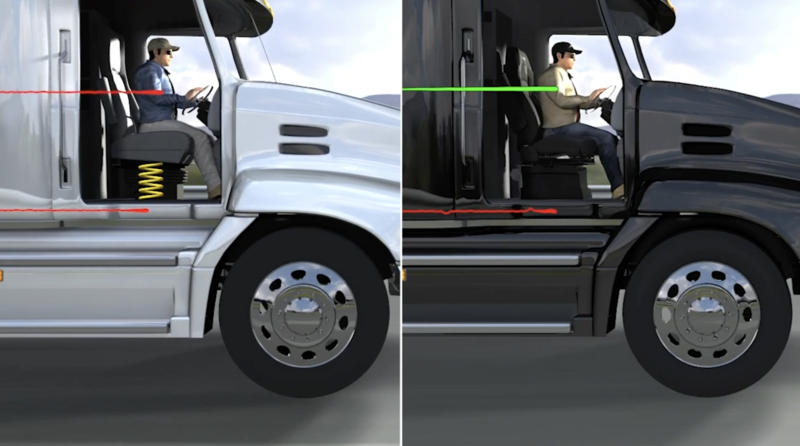 Several studies show that ClearMotion's technology improves drivers' health. 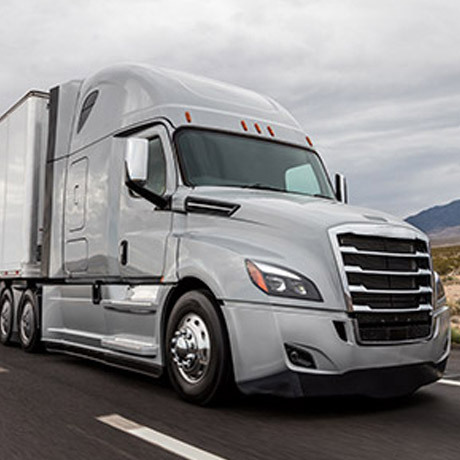 Source: "The impact of Ride Quality on Truck Driver Health & Safety: A TCA Member Fleet Case Study." March 17, 2014. 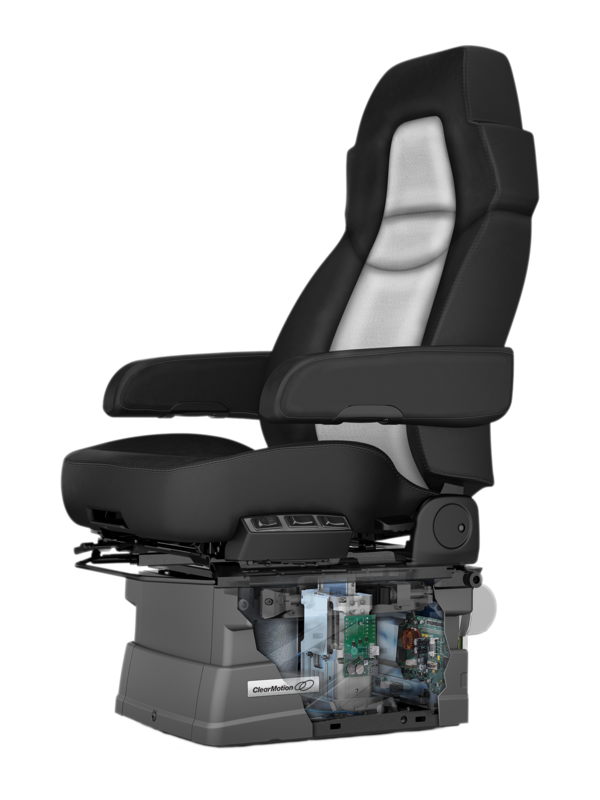 Our patented seat technology continuously measures the road and maintains the driver in an optimal position. 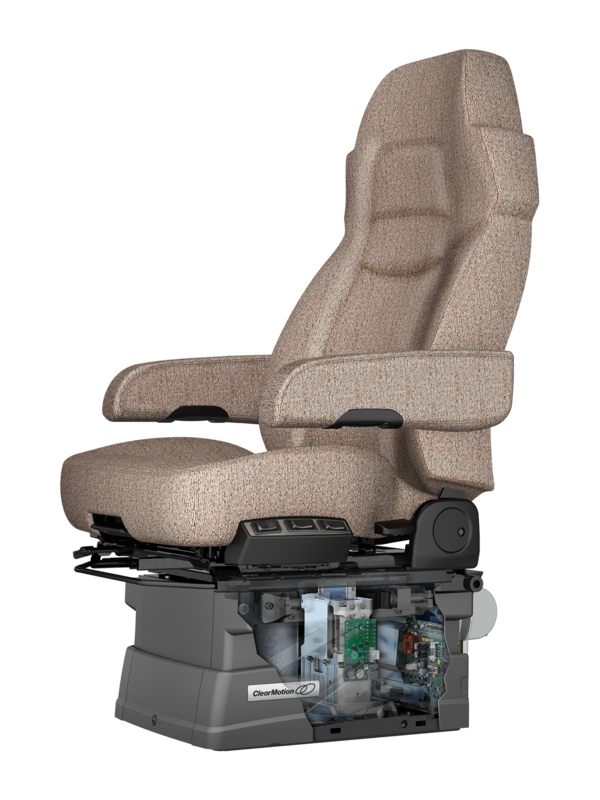 Unlike air ride suspensions, our dynamic system responds instantaneously and significantly reduces harsh impacts transmitted through the seat for all drivers alike. Give yourself a break without taking one. The technology formerly known as Bose Ride® has been changing the lives of drivers for over one billion miles. 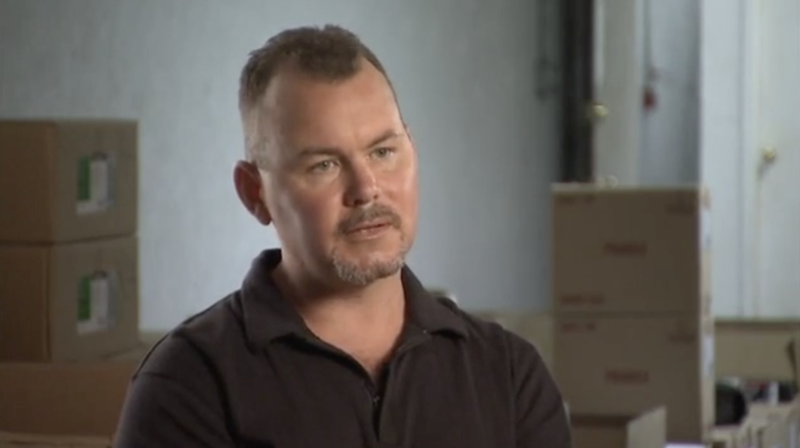 Thousands of customers have experienced the benefits and hundreds of fleets continue to enjoy the benefits of the system. "You're still a part of the truck. But with the conventional seat, you're feeling it. With this new system, you're fluid. You flow through it." "You can't go back to conventional once you've experienced this seat." "It's refreshing knowing that something so new and so refreshing could be put in the truck that could literally change a driver's life." "It's better health for me. I stay healthier, I stay happier." 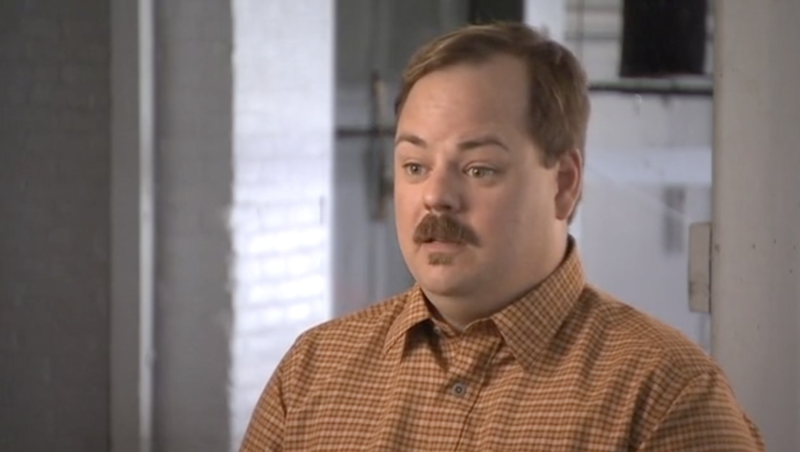 "I drove for 9 hours yesterday, and didn't realize it… I didn't realize it because my body wasn't hurting. I wasn't being beat up. I felt good driving." 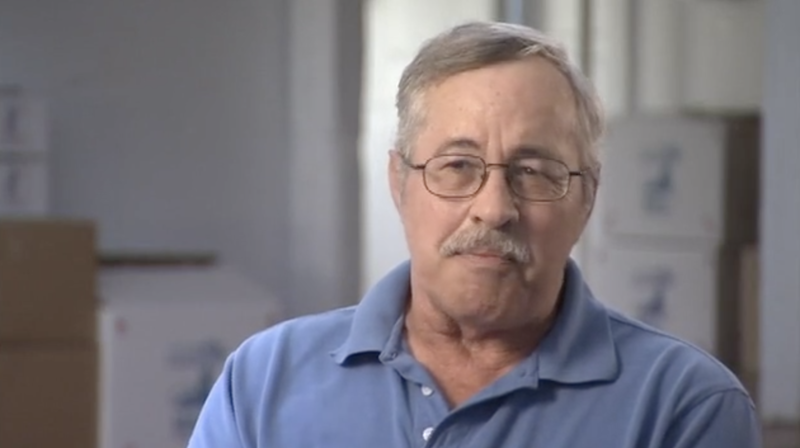 "I think when I retire, I'll be a whole lot better off." Call or email our sales team for pricing information and financing offers today. 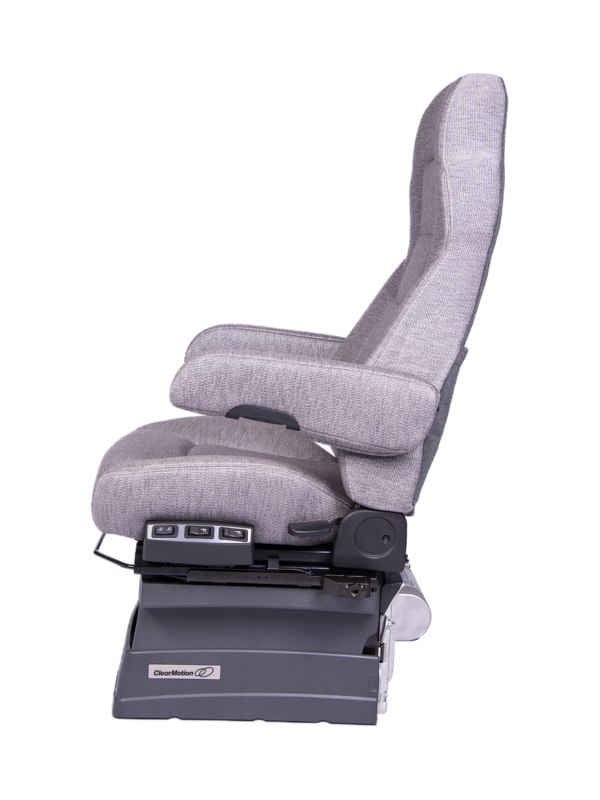 They will walk you through the seat customization process and purchasing options that are right for you.